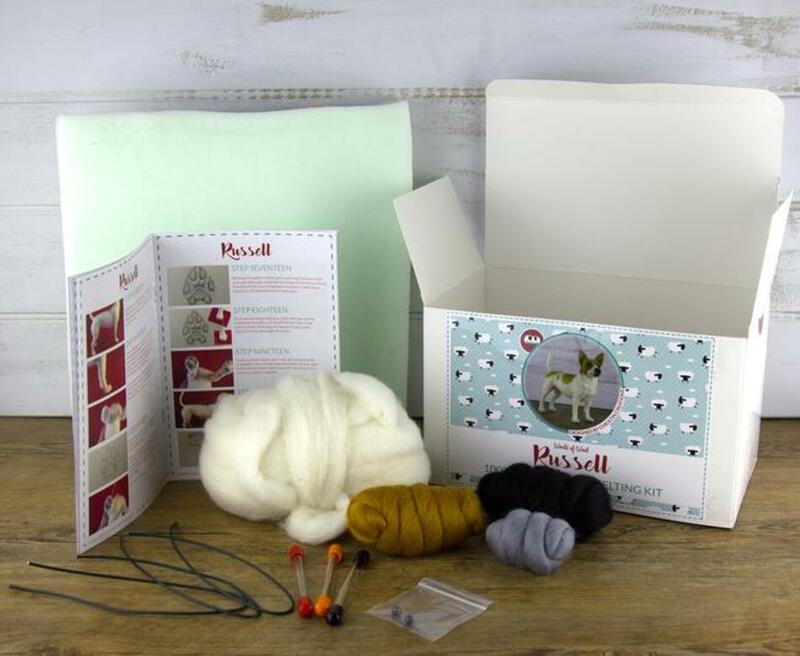 We are thrilled to offer these beautifully designed and packaged needle felting kits by World of Wool and Chickten Creations. 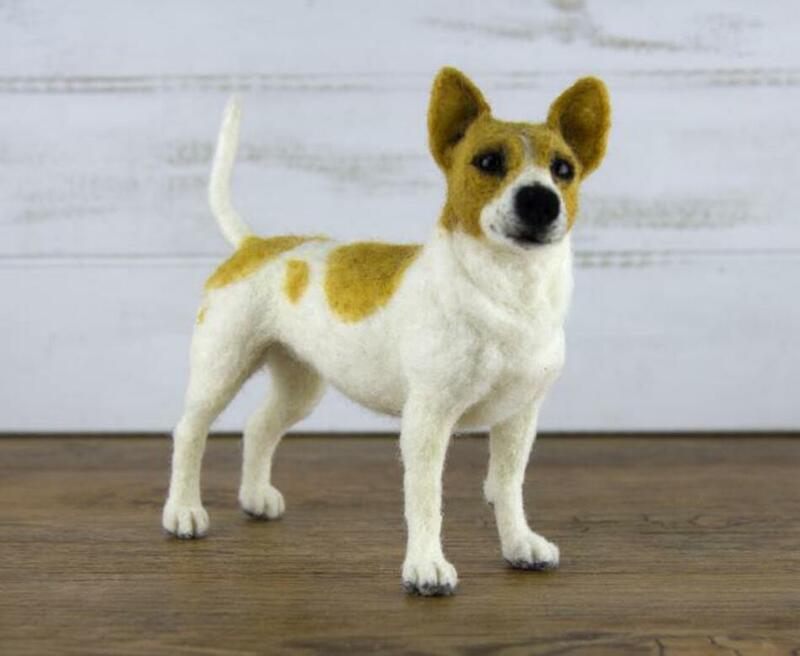 Guided by detailed, step-by-step instructions and photographs, you’ll have your own free standing fiber friend in no time! 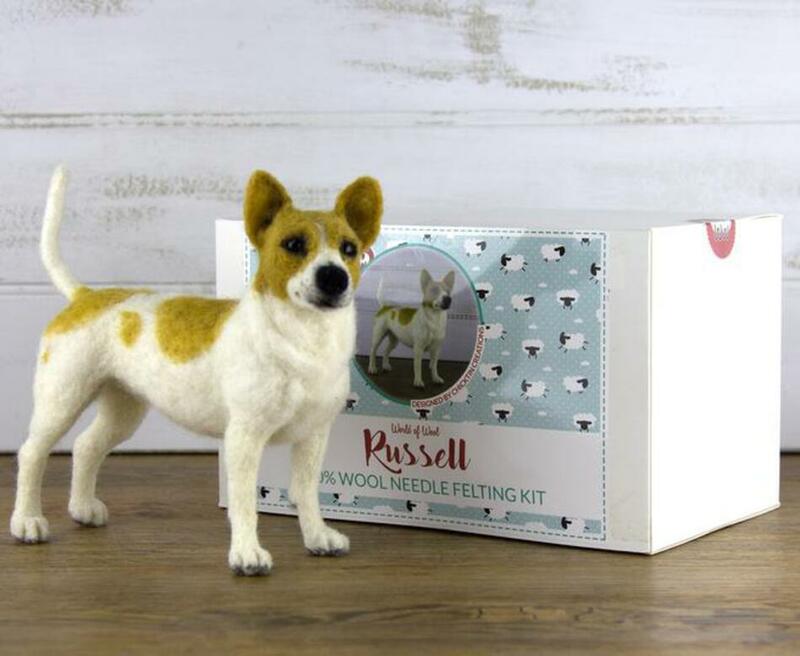 Each tutorial kit contains everything you need to make your own realistic animal, including 100% wool fibers, armature wire, felting needles, and foam pad. 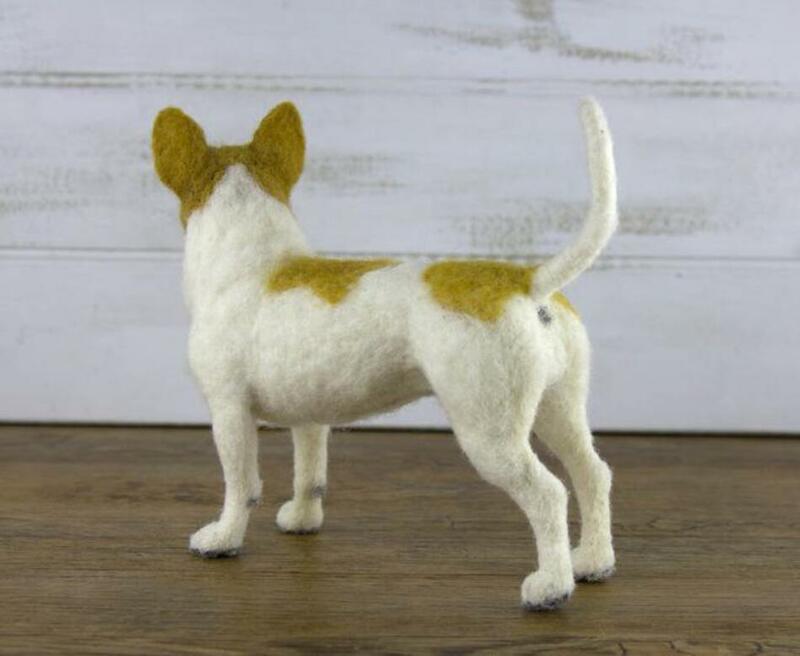 Russell the Dog measures 10" long and 8" tall when finished.